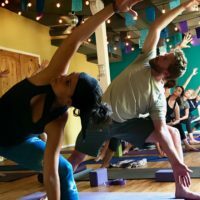 Karma Yoga Center offers 200-Hr Yoga Teacher Training at our studio Denver, Colorado. 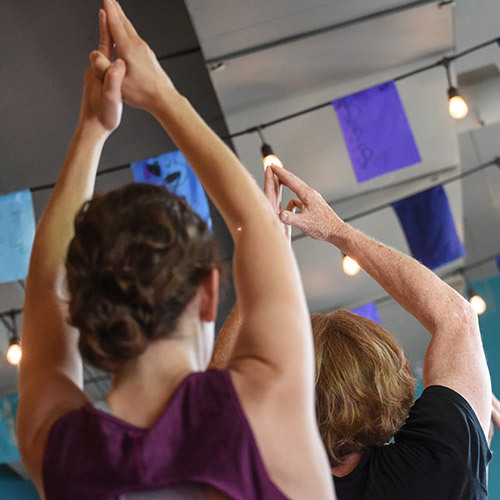 Our trainings connect students to both the spiritual and practical teachings of yoga under the guidance of lead teacher and studio owner Katrina Gustafson, focusing on mind, body AND spirit. Trainings are open to both the student who wants to be become a certified yoga teacher and to the seeker who wants to deepen their physical, mental and spiritual practice of yoga. 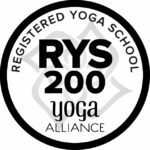 This 200-Hr YTT will begin with a 3-Day Retreat Style Immersion in the Mountains of Colorado. The retreat includes lodging, food, and a 3-Day spiritual immersion to kick-start your training. This is all included in the price of the training. Open your heart and learn more about your individual spiritual path and how to more fully embody it through the teachings of yoga. 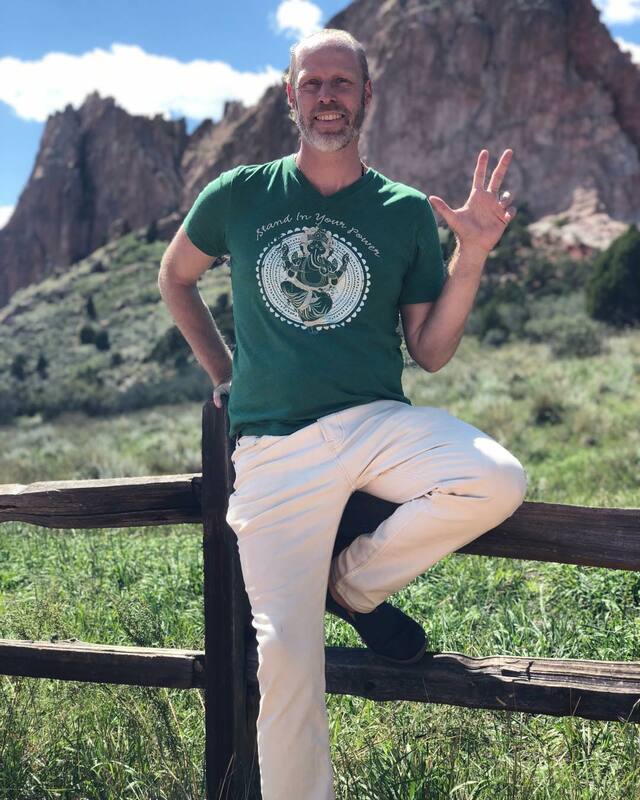 The 200-Hr Fall 2019 Training from is September 2019 to January 2020 and kicks off with 3-Day Immersion in the Mountains of Colorado. The general schedule will include two 7-Day trainings and 4-Weekends between September and January. The 7-Day trainings are 10am-5pm. Friday – Thursday. The Weekend Trainings are Fri, Sat & Sun. The Friday evening is 6-8pm, and Saturday and Sunday are 9am-5pm. $200 non-refundable deposit is required to hold you place in the training. Applied toward your tuition. *Credit Card Payments will have an additional 2.5% processing fee added. There are no fees for Cash and Check payments. All $200 deposits are non-refundable. Any cancellations within the first week the training will forfeit 1/3 of your tuition. Cancellations after week 4 will forfeit the full paid amount, with the option to be re-apply for future YTT trainings. Monthly payment plans are available throughout the course of the Yoga Teacher Training. Contact Katrina to discuss your options: 303-709-0535 or love@karmayogacenter.com with the subject ”YTT Payment Plan.” Installments paid before the start of the training will be a total of $2,600, after the start they will total $2,800. All payment plans will be paid in full by the end of the training. 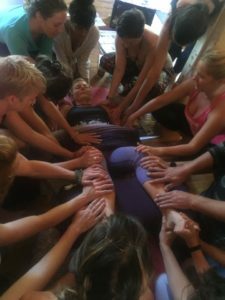 In our 200-Hr Teacher Training, you’ll cover a myriad of subject matter that explore your Mind, Body, and Spirit. Learn to integrate this information into your personal lifestyle, and into the lives of your future students, clients, colleagues, and loved ones. 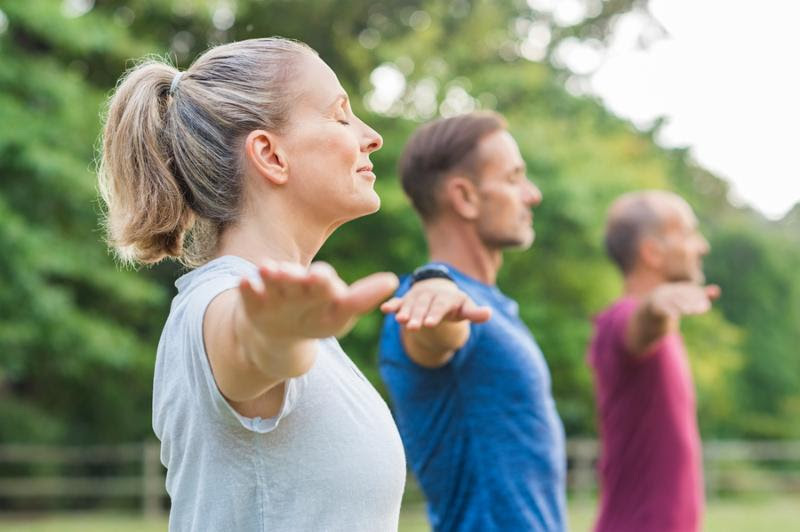 Along with being certified to teach yoga, you will receive a booster-shot to your soul; this training is a life-altering immersion to awaken you to the essence of who YOU are at your core level. Our program will help you step into your potential, so that you can in turn help others to do the same. You will be supported throughout your training and immersion by the teaching staff and community at Karma Yoga Center. It is our core mission at the studio to create a loving community in all we do. We understand that being and feeling supported is key to your success and transformation in our training. And, our teacher training aligns with our mission of support. During the training, you will receive an Unlimited Yoga Membership at Karma Yoga Center. Through your requirement to attend 3-classes a week during the off-times of your training, you will be able to stay connected to the community and interact with your teachers and fellow students. You will also teach 5-classes, observe 5-classes, and assist 5-classes over the course of the trainings. Post training, you will have the opportunity to teach our Free Community Classes at the studio, as well as the possibility to apprentice with one of the lead teachers. The mermaid of the mountains, Katrina Marie seeks the heights of the peaks and the depths of the oceans in her practice. Through the wisdom of the heart, her purpose is to help guide others to open their own. She has studied in the temples of India, the pyramids of Mexico, and in the crucible of modern life. She finds the sacred in the rhythm of the seasons, the stars, and every second of life. 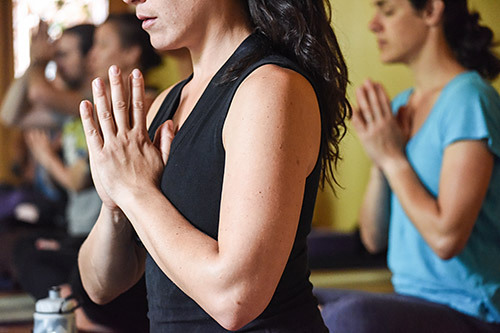 As the owner and founder of Karma Yoga Center in Denver, she brings the Bhakti from all wisdom traditions to her yoga classes- singing, chanting, dancing, and journeys into the heart. Katrina fills every yoga session with love. She weaves in the teachings of her yoga mentor Saul David Raye and the cosmic knowings from the lineage of Evolutionary Astrology. She shares her life journey with her half-side husband Michael Shankara and her two boys Max & Bo. Lisa’s journey with the practice of yoga began 18 years ago in a Bikram studio in San Francisco. What began as a physical and mental challenge to just stay in the room for the duration of class quickly became a deep and healing connection for her body, mind, and spirit, and eventually became a life’s passion and calling. Though she has had many influential teachers, she is a dedicated student of Yogarupa Rod Stryker and follows the lineage of Para Yoga and Sri Vidya. 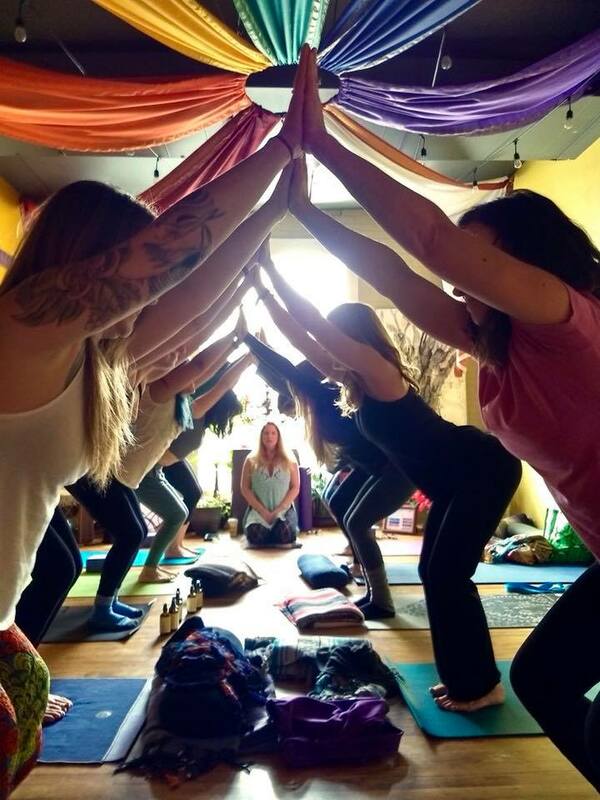 Her classes strive to provide a space for each person to explore the effect of yoga in their own way and, while rooted in the methodologies of Para Yoga, are an amalgamation of all her teachers’ influences. 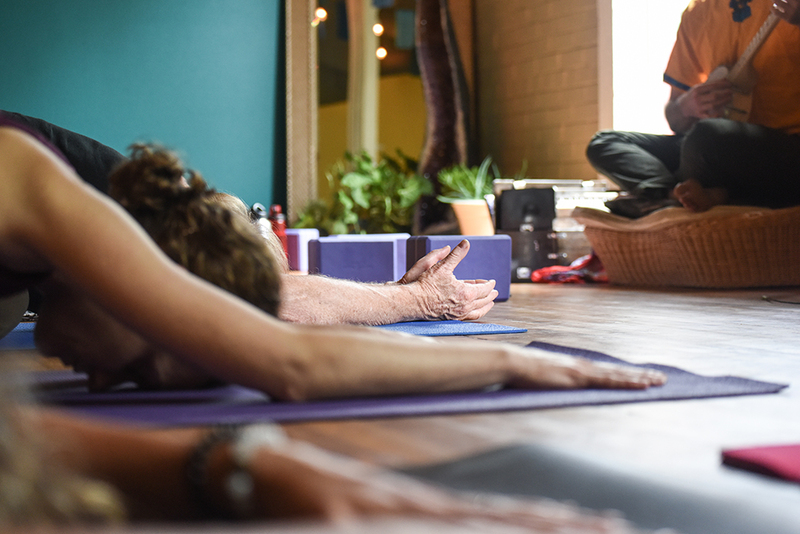 Each class will include pranayama (breathwork), the exploration and experience of the energetics of asana (postures), mantra, visualization and intentional focus, and meditation. Michael is a certified yoga teacher, Mayan Shaman, Priest, and Astrologer. Initiated into the sacred wisdom of the Maya, Michael is the sole apprentice under elder, priest and shaman Dr. Don Miguel Angel Vergara- former director of the sacred Chichen Itza Archeology Site in Mexico. Michael is also a musician and sound healer, providing live music for yoga classes, retreats, journeys and mediations at Karma Yoga Center. Michael is a certified Crystology Healer and studies Soul Astrology, Astronomy, and the Mayan Calendars. He offers Energy Healings and Astrology Readings that integrate his shamanic and yogic trainings. Michael & Katrina also provide a free videos series on the New Moons and Fulls called the Alchemical Astrology Report.